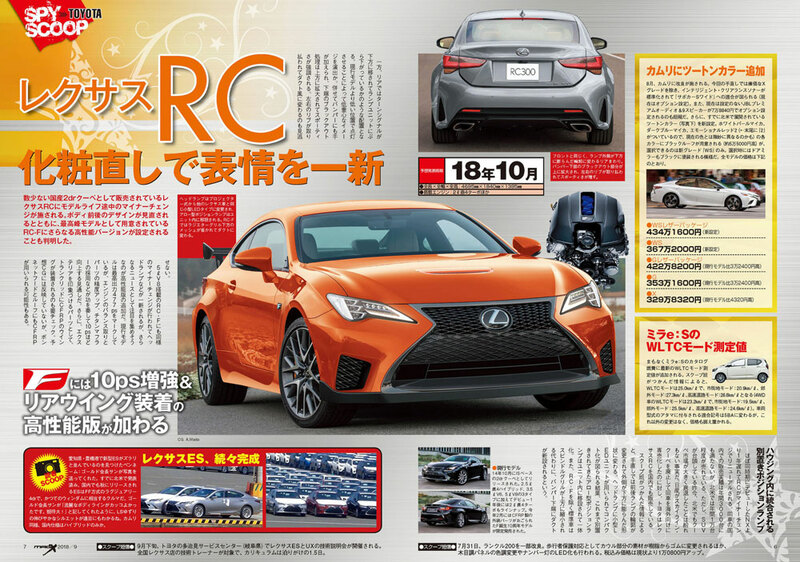 Japanese magazine Mag-X has read the tea leaves and built a production model Lexus RC F GT from the camouflaged prototype spotted last week. A track-spec version of the Lexus coupe was teased in 2016 with the RC F GT concept, which featured an adjustable suspension, significant weight savings, and a massive fixed rear wing. I do like how lower vents box out the mesh grille, creating more visual separation and simplifying the complex patterns of the front end. However, this could also prove to be a flight-of-fancy from the artist.